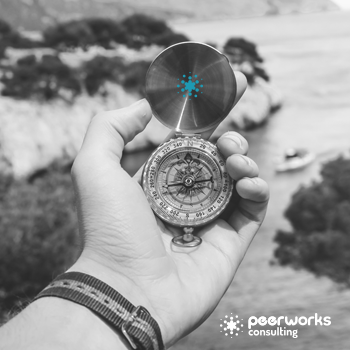 At Peerworks, our vision is to “inspire and empower people all over the world to raise funds and awareness for the causes they are passionate about.” In order to get closer to achieving our vision we must align and collaborate with even more charities, agencies and forums. We must also be ambitious and intentional about the work we plan to do. So, we decided to spend the beginning of 2019 setting our goals for the year ahead. Part of this process entailed looking back to see what we accomplished last year and what still remains on our team’s “bucket list”. 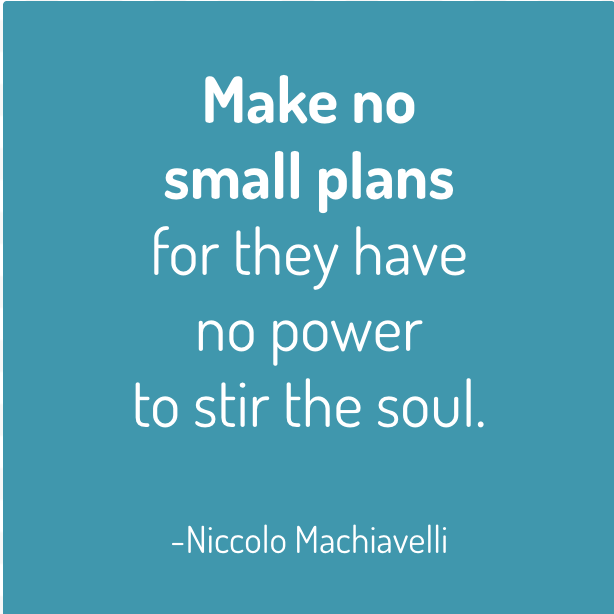 And then we added a few new goals that will require us to pull up our sleeves, take a deep breath and go! 1. Learn. This year we will continue to feed our curiosity about all things related to peer-to-peer fundraising (aka community fundraising). We’ll ask why? Then listen…closely. And then we’ll bravely stretch beyond the boundaries of whatever we thought was possible. Challenge each other. Take risks, wholeheartedly. And afterwards, we’ll weigh the benefits of breaking the mold to the cost of never taking the opportunity to break it in the first place. 2. Invent. While we certainly love to ‘geek out’ and analyse/optimise existing peer-to-peer fundraising programs, we always get excited when we get to create brand new P2P concepts for our clients. From virtual to live events, challenge to mass-participation, DIY to signature, local to global….concepting is undeniably one of our strengths and we’d like to continue to flex our creative muscles in 2019! 4. Travel. So far, we’ve done consulting and training in 14 different countries…and, just last year, we proudly added Hong Kong, Sweden and the UK to our growing list! While we never really know where this work will take us, we are thrilled when it allows us to know a different culture, perspective and some great new peer-to-peer fundraising concepts and strategies. We look forward to the places we’ll go this year…wherever they may be. 5. Share. Of course we are passionate about the subject of peer-to-peer fundraising but it’s the people that we get to meet at our workshops and masterclasses that really make teaching P2P so much fun. Last year we hosted sessions at a few international conferences including IFC and IFC ASIA as well as some local conference including Convention (UK) and Vakdag (NL). Last year we also hosted our first-ever “IFC Pop-Up” workshop in Chiang Mai…which gave us the chance to engage with charities in northern Thailand and also learn how they, like many other emerging markets, are skipping traditional fundraising methods and, instead, investing in P2P! So, it probably goes without saying but this year we’d like to keep on spreading our love for P2P fundraising! We’re kicking it off with our first-ever appearance at the P2P Forum in New Orleans and we couldn’t be more excited! We also have been selected to speak again at the Convention in London this July. Please keep your eye on our calendar for all of our upcoming webinars, workshops and masterclasses! Hopefully there will be one coming to a town near you! And, if not, give us a shout! 6. Blog. Part of sharing is blogging. This year we intend to blog more regularly. (And we mean it this time!) But what we don’t ever want to do is just blog for blogging’s sake. We want to share best thinking and best practices that will be helpful now, or whenever you need it most. One part information, one part inspiration. And if you don’t find what you need when searching our archive, please contact us and we’ll be happy to chat about it. 7. Fix. As we’ve been meeting with charities all over the world we’ve become increasingly aware of the root problem that continues to torture our sector on a global scale. That issue is overhead–specifically the sector’s inability to properly invest in the staff, infrastructure, strategies and time it needs to create large-scale impact because the general public doesn’t like the idea of paying for (funding) overhead. Yes, this “overhead’ issue seems to be an old issue–one that Dan Pallotta addressed in his remarkable TED talk six years ago. But this old issue continues to create new problems, daily. The overhead issue isn’t going away on it’s own. It requires coordinated intervention on a massive scale in order to shift public perception. So, beginning this year, our team will be dedicating a portion of our time and revenue to tackle this problem…working alongside other individuals, agencies and charities who are tired of watching our sector (and the people we serve) suffer because of it. If you’re interested in joining this effort, please contact us. We hope our list inspires you to create your own list of intentions. And, if you do, BE BOLD. Be the leader that you’re looking for. We expect big things from ourselves and the rest of the social impact sector in 2019. After all, if we are going to change the world, should we expect anything less? *Expansion also requires an ever-expanding team of people who are passionate about P2P fundraising and even more passionate about sharing that love (and knowledge) with others. If you’re interested in joining our tiny but mighty team, please contact us here.